Sola Scriptura: The Bible is the sole written divine revelation and is the ultimate authority over the practice of our faith. Sola Fide: Justification is a free gift of God received by faith. The righteousness of Christ imputed to us by faith is the sole ground of our acceptance by God. Solus Christus: Christ is the only mediator through whose work we are redeemed. It is though Jesus alone that we have access to God. Sola Gratia: Our salvation rests solely on the work of God's grace for us. Salvation comes by what God has done, rather than what we do. Soli Deo Gloria: To God alone belongs the glory. ​The highest aspiration of mortal life is to live for His glory. 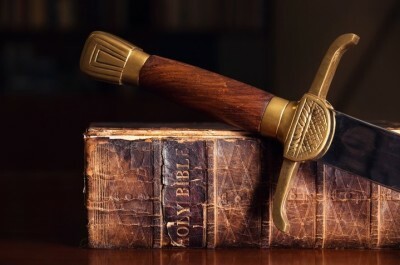 • We believe that the Bible is God’s Word, verbally and fully inspired in the original text, and that it is the supreme and final authority in all matters of faith and conduct. We believe God's Word is comprehensively sufficient to equip each indivicual on issues of life and godliness. • We believe that there is one God, eternally existing in three persons: Father, Son and Holy Spirit. • We believe in God the Father, perfect in holiness, infinite in wisdom, measureless in power. We believe that He concerns Himself mercifully in the affairs of humanity, that He hears and answers prayer, and that He saves from sin and death all who come to Him through Christ. • We believe in Jesus Christ, the divine, eternal and only begotten Son of God. We believe that in His earthly life He was conceived of the Holy Spirit, born of a virgin, and lived a sinless life. We believe in His vicarious and atoning death for the sins of the world. We believe in His bodily resurrection from the dead, His ascension to the right hand of the Father to make intercession for the saints, and in His personal, visible return to the world in power and glory. We believe that Jesus Christ is the exclusive means provided by God by which men can be saved. • We believe in the Holy Spirit and in His personality and deity. We believe that He was sent forth from the Father to convict the world of sin, of righteousness, and of judgment. We believe that He has come to regenerate, indwell, sanctify, instruct, and comfort the saints. • We believe that Adam was created in the image of God; that he sinned and thereby incurred physical and spiritual death; and subsequently all individuals are by nature and by choice sinners and destitute of all power to save themselves. We believe, therefore, that the only means of salvation of sinful human beings is the regenerating work of the Holy Spirit on the basis of the atoning work of Christ, through personal faith in Christ. We believe that everyone will be resurrected. Those who are saved will be resurrected to eternal life and those who are lost will be resurrected to eternal damnation. • We believe in the Church, the living spiritual body of which Jesus Christ is the Head and of which all regenerated people are members. We believe that the Lord commissioned the Church to proclaim the Gospel to a lost and sinful world and to make disciples of all nations. We believe that a visible church is a company of believers in Jesus Christ, associated for worship, work, and fellowship. ​Contact us today and start the process towards a new life.